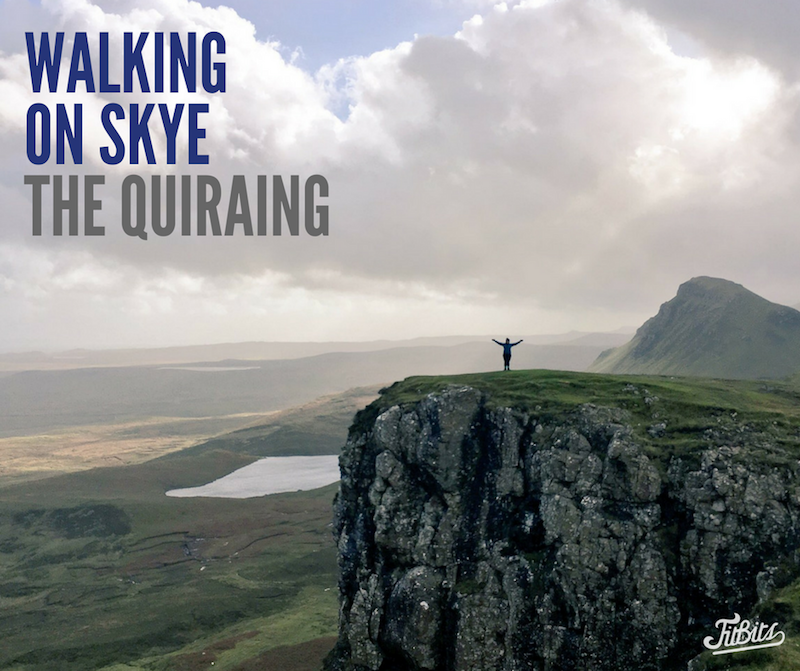 Few outdoor experiences have blown my mind like The Quiraing walk on the Isle of Skye. 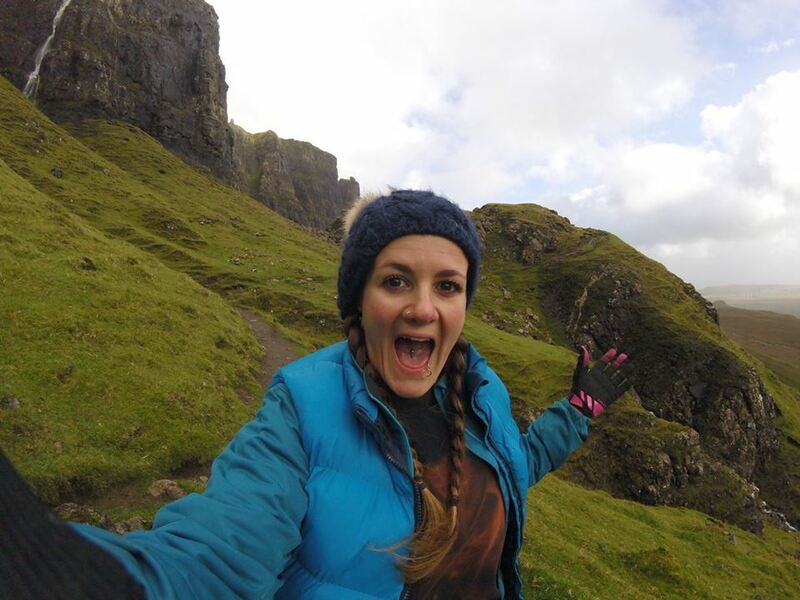 In fact every single day of our Scottish highland adventure last month had me oooohing and aaaahing at pretty much every second breath, but this walk, guys. Just, wow. I’ve literally never seen landscape so magnificent than the Scottish highlands – to be fair I’ve never actually travelled to many places outside of the UK but Scotland wins my heart every time. And it seems the readers of Rough Guide agree too, having named it the most beautiful country in the world in a recent poll. 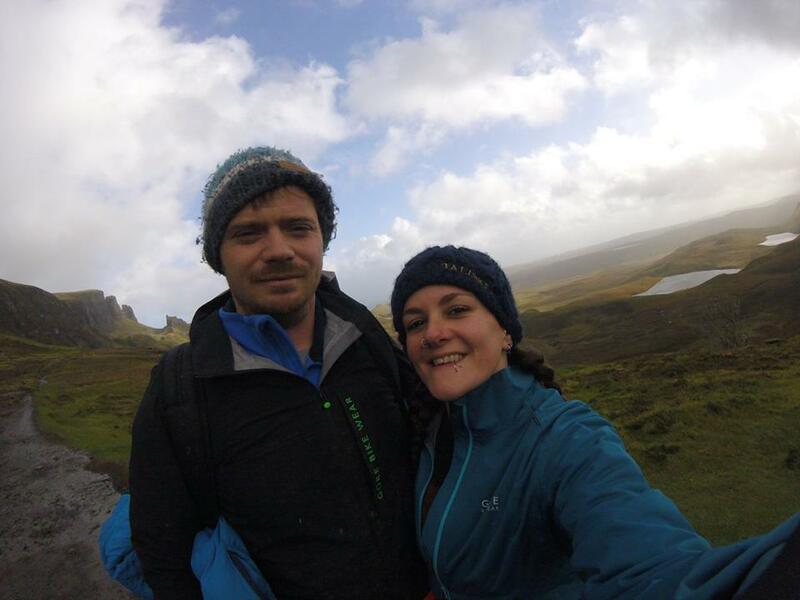 This trip was our first back to Scotland since our amazing honeymoon in 2014. We basically did the same thing – one huge road trip taking in the spectacular west coast – only this time in our van, driving door to door from Brighton. Our trusty van carried us more than 1700 miles from sunny Brighton to the top of a very windy, wet and moody Skye and back again, taking in the Lake District, Loch Lomond, the Cairngorms and Dundee to see family along the way. 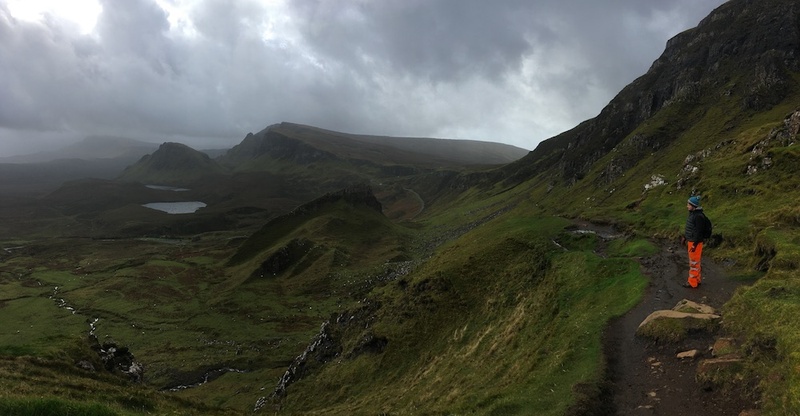 Chris was in charge of planning our mountain bike rides and walks, and The Quiraing was meant to be another route to ride, but 50-60mph winds soon put a stop to that so we walked it instead. Or I should say, tried to. The wind was so ferocious at times it took all our strength to stand upright. There was no way we could’ve ridden that day. Part of the Trotternish ridge in the north of Skye, The Quiraing is formed by a massive landslip over thousands of years, creating magnificent high cliffs, hidden plateaus and imposing pinnacles of rock. A narrow, winding path hugs the clifftop and takes you on a 6.8km loop around the most spectacular landscape you’ll ever see. The drive there was almost as spectacular as the walk itself – another beautiful winding mountain road on Skye. When you’ve been on the island for more than a couple of days, a strange thing happens as you get used to being enveloped in such natural beauty. It feels normal to share the road with only a handful of hikers, mountain bikers, sheep or wondering cattle. To climb another ridge, cross another waterfall or gaze in awe at the never-ending wide open space that stretches out in front of you. To feel so insignificant amongst such a rugged, majestic backdrop and carpet of green and orange. To breathe in such clean, unfiltered, abundant air. It makes you realise how truly amazing it is to be alive, and it’s this landscape, this beauty, this country, that makes my heart sing so loud. 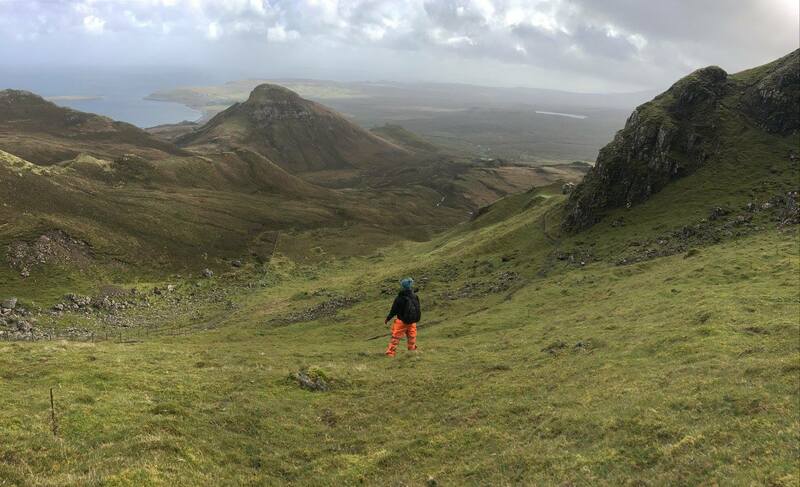 We will return to The Quiraing, mountain bikes in tow, next time to ride its ridge and soak up its glory once again. Food for the soul. Get yours too on the Isle of Skye official website. Where in the world makes your heart sing like Scotland does to mine? Previous Post Trying a new sport: hockey!